The Emerging Artists Creativity Hub (EACH) is a teen arts program designed specifically for young artists, ages 13-17, who are interested and gifted in the arts. It is intended for students to study and work in the arts far beyond the typical high school curriculum. Our bright and dedicated young artists come from diverse backgrounds and experiences. 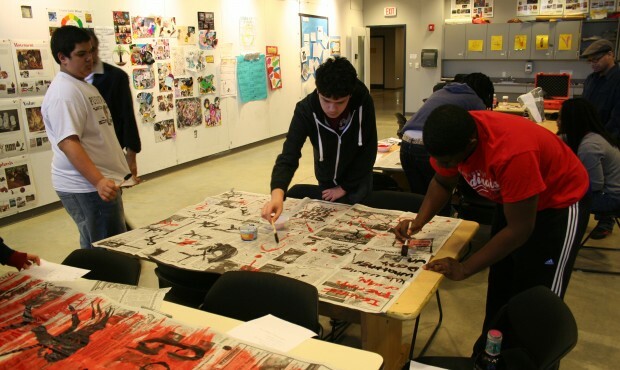 Each week they gather to explore multiple art forms and take creative risks in personal and collaborative art-making. Students participating in EACH emerge better prepared to pursue the arts in college and later on in the professional world. Young Audiences New Jersey & Eastern Pennsylvania is accepting applications for EACH. The application deadline is Friday, February 15, and the classes start on Saturday, February 23. EACH is aimed for gifted teens interested in the arts and will be held every Saturday for ten weeks. For more information, go to YANJ-YAEP. Young Audiences New Jersey & Eastern Pennsylvania.